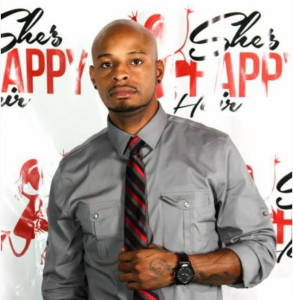 Marcus Bowers is a comedian, entrepreneur, and Naval SPECWAR veteran from Houston, Texas who never takes a day off. From comedy, to a multi-store business, to teaching and mentoring youth Marcus Bowers stays busy. He now has seven She’s Happy Hair stores open all across the nation. Yes, Marcus sells hair and he will make you laugh about it. Marcus is definitely dedicated to his work and he says, “if you can think it, you can do it .. the innovational people are leading the way.” He admits, he has grown tremendouly since enlisting into the military and graduating college shortly after. He unconsciously serves the community and enjoys making everyone happy. The serial entreprenuer has been taking advantage of every opportunity that comes his way. With brands all over the television, radio, comedy circuit, and social media, he’s looking to expand into other markets and willing to help others as well.